Ocean View, DE – On September 22nd, the Delaware Center for the Inland Bays (CIB) presented three “Friend of the Bays” awards to local volunteer, Ab Ream, Gary’s Dewey Beach Grill, and the Town of Dewey Beach for excellence in volunteering, business support, and partnership aiding Delaware’s three Inland Bays. 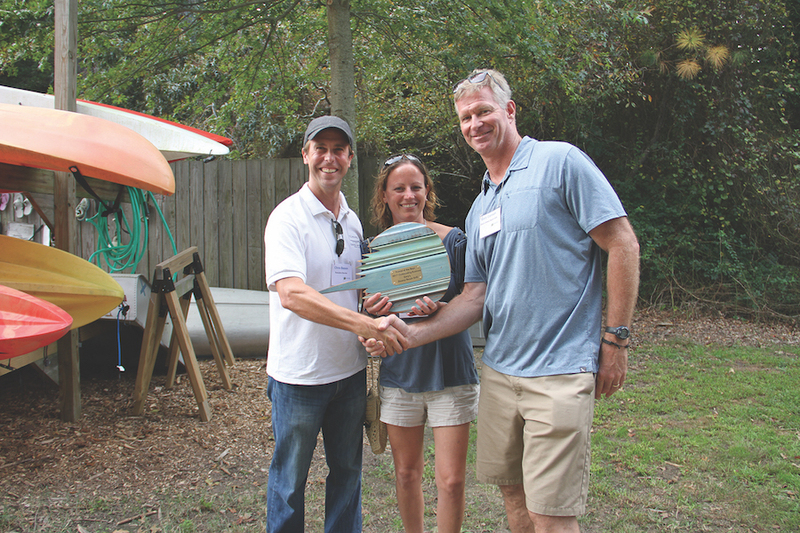 Gary’s Dewey Beach Grill was the 2017 recipient of the “Friend of the Bays” Business award. For several years, Gary’s has been a generous partner of the CIB. Not only have they opened their restaurant during the off season to host the CIB’s Christmas Parties, but they have also brought in nearly $13,000 to preserve, protect and restore the Inland Bays through their 2015, 2016, and 2017 Gary’s Dewey Beach Brewfest events. 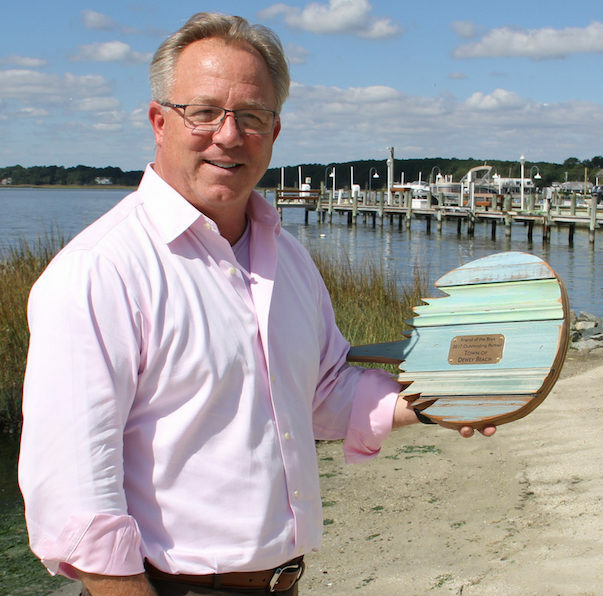 In addition, the restaurant’s co-owner and namesake, Gary Cannon, serves on the CIB’s Citizen’s Advisory Committee which brings Bay-related issues of public concern to the CIB Board of Directors. 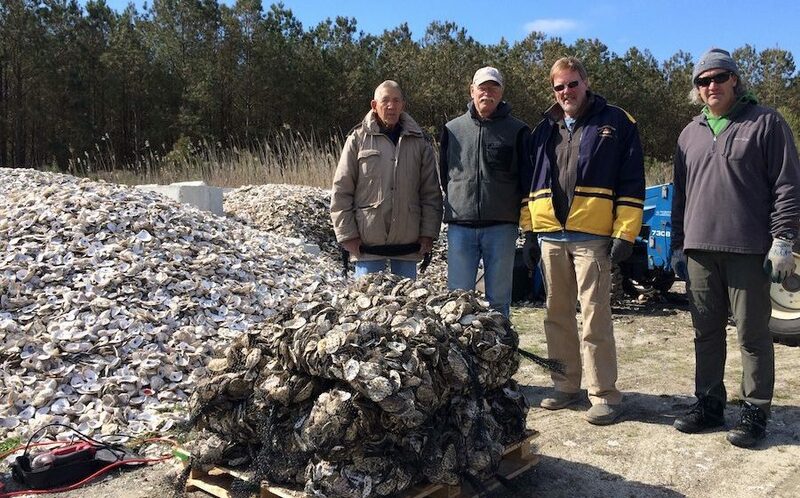 Larry Hutson, Bill Hitz, award winner, Ab Ream, and Bob Collins stand by a pile of completed bags and unbagged shell. Last but certainly not least, the 2017 “Friend of the Bays” Partner award was presented to the Town of Dewey Beach for their excellence in implementing the Inland Bays Comprehensive Conservation and Management Plan over the years. The Town has provided excellent representation to the Center’s Board of Directors and has been a consistent supporter of the Center’s Decked Out summer fundraiser. 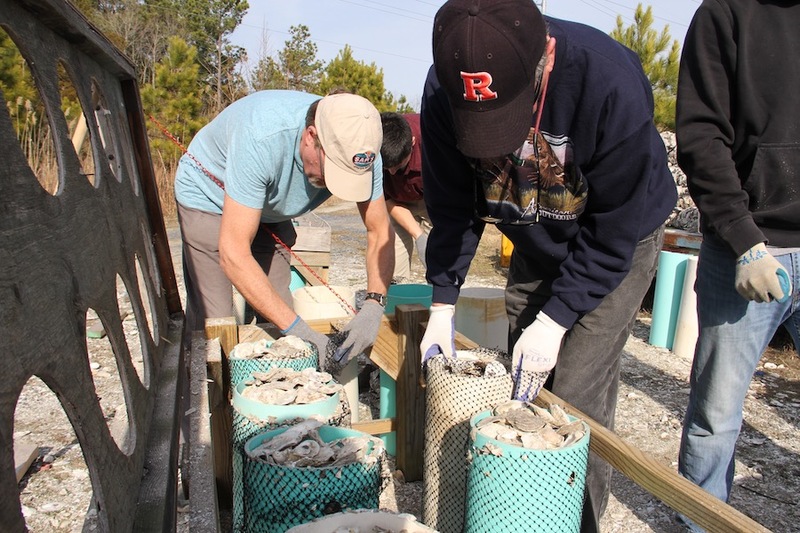 Most recently, the Town partnered with the CIB to develop a long-term plan to retrofit stormwater controls to reduce flooding in Dewey Beach and improve water quality in the Inland Bays.